There is an system fusion test this weekend for our two meter repeater. Currently the Kenwood and Echolink is shut down. We have our spare Fusion repeater hook up to the tower and will be testing it this weekend. 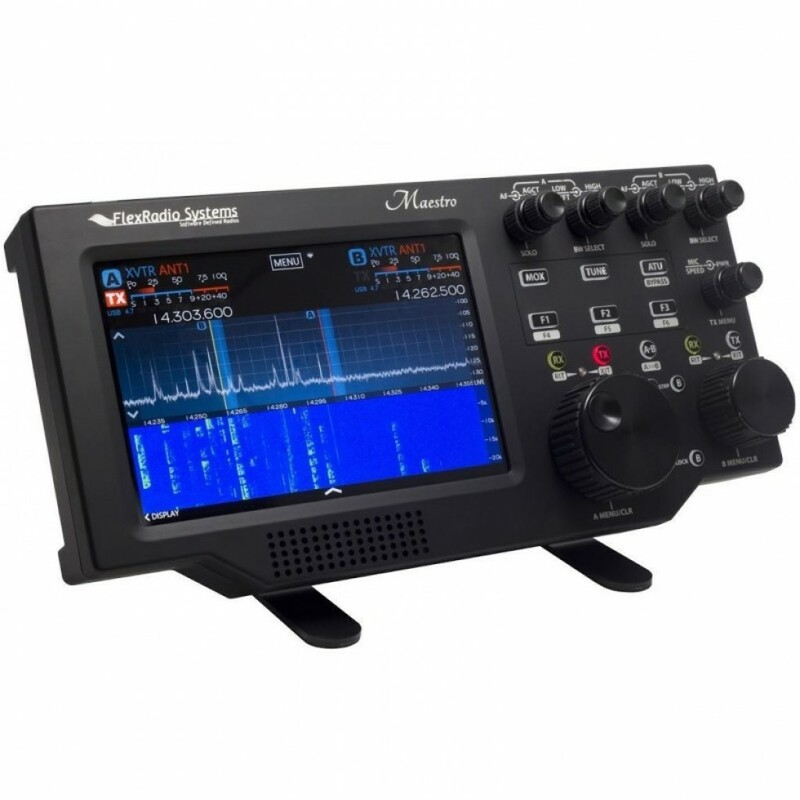 Please give it a try on both analog FM and C4FM digital on the 147.030 Mhz machine. The PL tone for FM is the same which is 123.0 please make sure you have your PL on for both TRANSMIT AND RECEIVED. If you have it on only the transmit side you will hear the digital noise coming though your speaker. Please send your feedback both good and bad to the Technical Committee email address listed above. Both Karl and Christine will be watch this email list to see how our members and friends like the two meter side being digital. This test will go from now till 7:00 PM Saturday 12-22-2018 when the Kenwood repeater will be hooked up again. Sorry for the short test but the QCWA needs the Echolink system to be working. Also during this time ECHOLINK will be down since that will only though the Kenwood repeater. If this test is successful the technical committee will be working on making this an permanent set up. We have some work to do on that front to keep Echolink working also. So please send in your feedback. Karl, WA3VXJ make the first contact with KT1H on our new Mosley antenna, and with that it is now officially open for use. 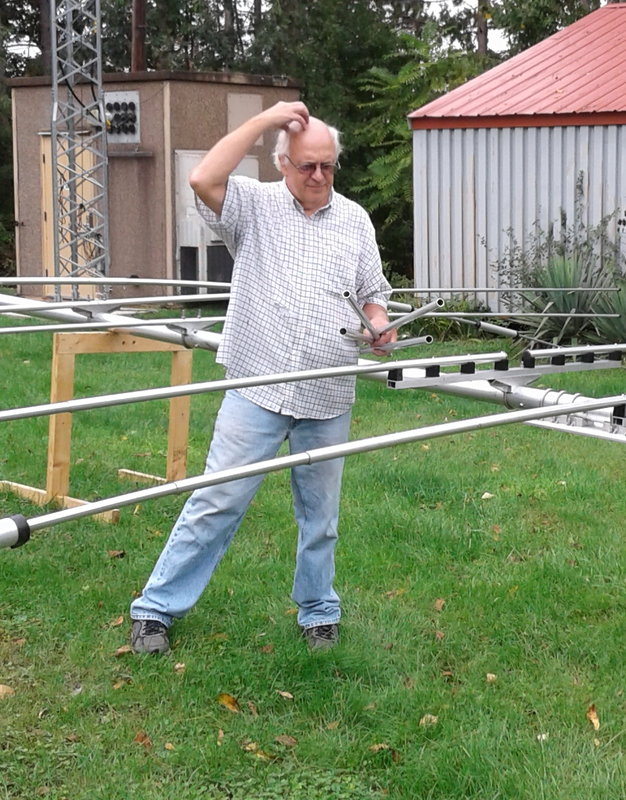 Thanks for all those that help getting this antenna off the ground. Also helping with the old tower removal and all the other tower climbing he did. 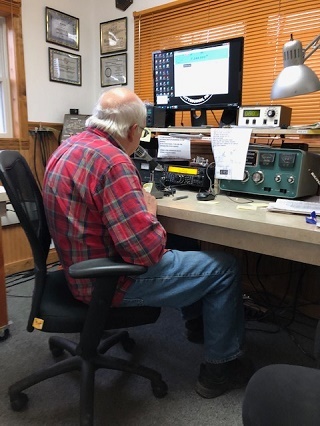 On Dec 10, 2018 the Steel City radio club got a new radio antenna and tower. The Mosley PRO-67-C-3 was install beside the club house and here are the photo from that tower raising. As you know by now the tower raising the antenna mount party will be this Monday morning starting at 8:00 AM. If you are free all club members are encouraged to help out with the raising. We have several project plan for that day while the crane is in place. Raise the new tower next to the building. Mount the Mosley antenna to the new tower. 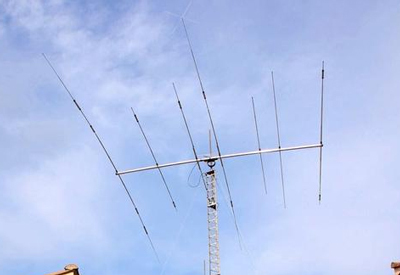 Remove the old UHF repeater antenna. Relocate the antenna mount to the other side of the tower. Mount the new UHF antenna to the new location. Local users aways get first choice of any radio and any antenna. – If you want to make sure you get to use a radio or antenna come up to the club house. All members should share the club equipment – Nobody should hog all the usage. Members using the remote’s should always check the security camera’s – On the members only page before turning on the remote. Just in case there is an local user at the club house using the radio’s. Local users do have the right to shut down the remote – But please play nice. If you drive up to the club and there an remote user using the radio. Grab control of the mouse and open up NOTEPAD and write an note to let the remote user finish their contact. 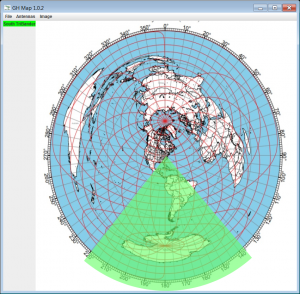 Remote and Local users should always confirm – They are hook up to an antenna before transmitting. Listen before you talk! There will be a Flex Radio demo this Wednesday night Oct 24th at the Steel City club house at 7:00 PM promptly. Bob Green, N3RDG will be bringing up his Flex Radio Maestro unit to the club which will be hooked up at his Flex 6400 radio back at his house. The radio which will be live on the air and after the demo members will get a chance to operate it. Bob will be showing us how it is used and all the unique features of of an SDR radio. Bob will not only show us the Maestro interface but also the interface that can be brought up on the Laptop or Computer screen. 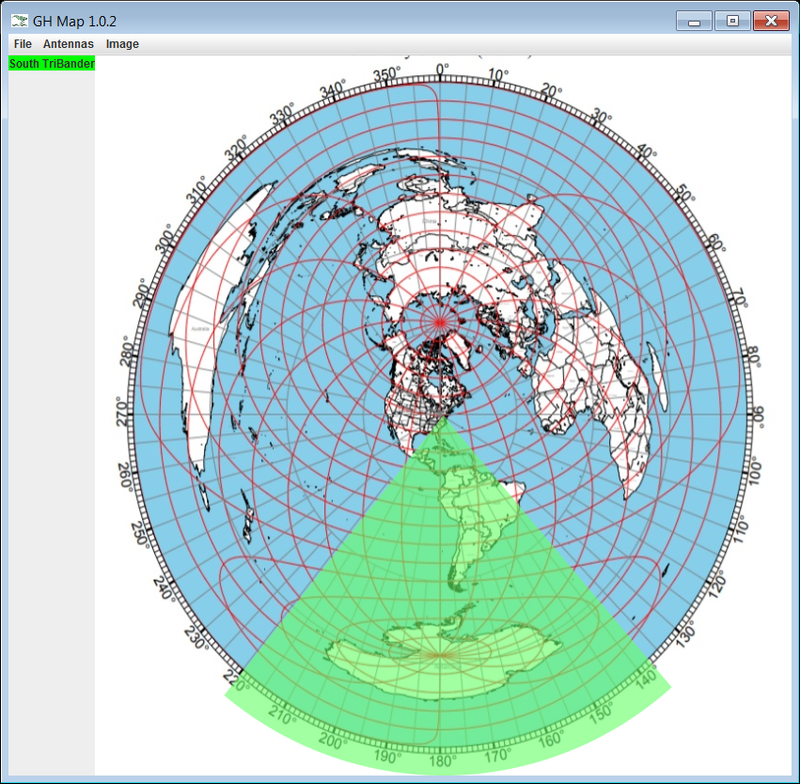 Here is the latest update for the Mosley antenna. The technical committee has been busy putting things together. And finally all the elements have been mounted to the boom. We steel need to level things up and do the finally element spacing measurements but its together enough to get a good size of the final product. Click on image for full size. Hmm, it seem we ended up with four extra pieces. Does anyone know where these go? Several weeks ago it was notice that the rotor on our south tower TriBander had frozen up again. After being refurbish several times already it was decided to just replace the rotor with a new one. It was a good decision due to the fact of when Matt climb the tower to remove it the rotor felled apart in his hands. Due to the research of done for the Mosley antenna it was decided to get a Green Heron rotor package. 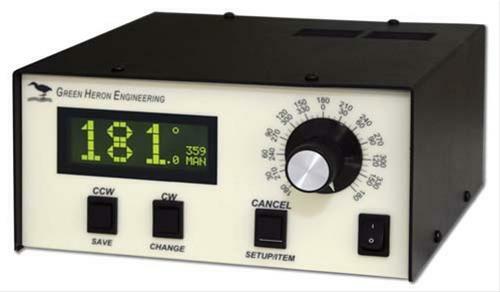 This controller has several smart features including starting the rotation slowly and ramping up the speed as it turns. Plus a nice safety feature of the controller not seeing any movement it will cut the power and show an error message. It has one more fancy feature in it ive better feedback to the computer. The little N1MM program will now show you what direction it is pointing and you can watch it move with a small pointer inside the program. Green Heron program is even fancier in it show a map with an overlay of the signal pattern on the map and you can click and drag the overlay to what ever country you want to work. So come on up for the social meeting and try it out. Special Thanks goes out to Matt, KB3PJW and Karl, WA3VXJ for doing all the tower work in the summer heat. BRING CHAIRS ! ! BRING CHAIRS ! ! BRING CHAIRS ! ! Learn more about SKYWARN and the National Weather Service and if you want to become a train weather spotter.